At least 11 Jewish community centers and four regional offices of the Anti-Defamation League were evacuated or locked down after receiving bomb threats. More than 140 Jewish institutions have been threatened in six waves since the beginning of the year. 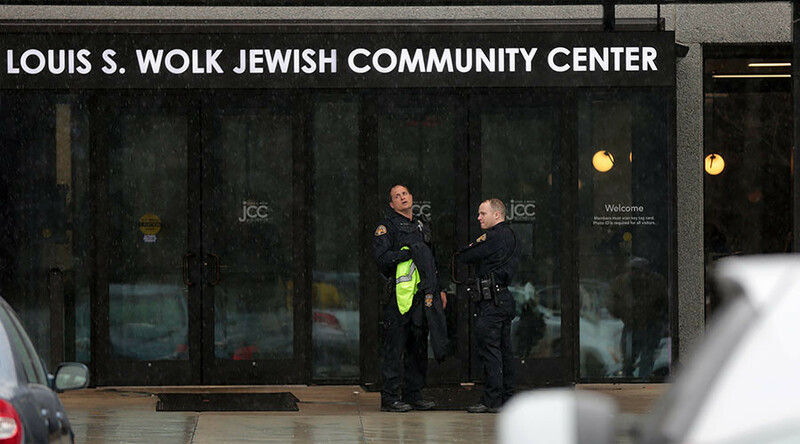 On Tuesday morning, Jewish community centers (JCCs) in Milwaukee, Wisconsin; Rockville, Maryland; Portland, Oregon; and Rochester, New York received threatening phone calls or emails, according to Secure Community Network (SCN), the security arm of the Jewish Federations of North America. "I am aware that there are other JCC facilities across the country that have received the same or similar-type threats," Brighton Police Chief Mark Henderson said during a morning briefing about the Rochester JCC, according to the Rochester Democrat and Chronicle. "We will work with the FBI to see if this was a similar type threat." By midday, JCCs in Massachusetts, Illinois, Florida and Alabama also received threats, as well as in Toronto and London, Ontario. Another threat that was different in nature from those four bomb threats was called in to the JCC in Syracuse, New York, and the center was locked down, said SCN Director Paul Goldenberg, according to the Jerusalem Post. It was the third time in seven weeks that the facility has been threatened, CNYCentral reported. Tuesday’s threat did not involve a bomb, however. It was also the third time this year that the Harry & Rose Samson Family JCC in Milwaukee had been threatened, according to the Milwaukee Journal Sentinel. The facility reopened two hours after it received the emailed bomb threat. "It's clear that this is a nationwide problem," Sergeant Patrick Whitaker of the Whitefish Bay Police Department said, adding that local law enforcement is working with the FBI to investigate. "There are others across the nation that have received multiple threats." "This is a huge drain of resources, but we're going to take every one serious," Whitaker said. Tuesday’s threats against the Anti-Defamation League (ADL) targeted regional chapters in Atlanta, Georgia; Boston, Massachusetts; New York; Washington, DC; and Toronto, the Jewish civil rights organization said. JCCs and Jewish schools across the country have been preparing and practicing procedures for locking down and evacuating facilities in response to the string of threats and anti-Semitic incidents. Each location has its own procedures, and they are all now “terribly proficient” at them, Posner told the Washington Post. "It's the world we live in today," said Arnie Sohinki, executive director of the Louis S. Wolk JCC of Greater Rochester. "That we're prepared makes us better off to serve the community." The threats began January 9 against JCCs across six states. They have been occurring on an approximately weekly basis since then. The most recent round came with 40 incidents on February 27. No bombs have been found after any of the threats. 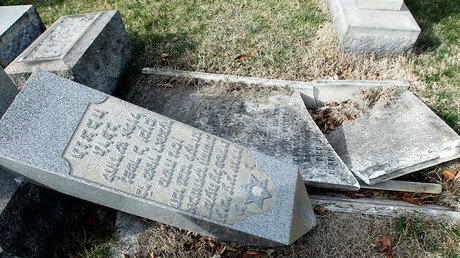 Tombstones at least three Jewish cemeteries have been vandalized since mid-February, and anti-Semitic crimes are on the rise throughout the country. The White House condemned the latest wave of threats to JCCs and ADL offices on Tuesday afternoon. The FBI has struggled to identify the perpetrators because the callers have used easy-to-obtain robocall technology to mask their voices. So far, one person has arrested for some of the threats. 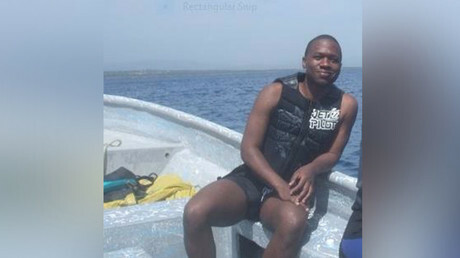 Early Friday, Juan Thompson, 31, was arrested by the FBI in St. Louis, Missouri. The former journalist for The Intercept was accused of making at least eight bomb threats as part of a "campaign to harass and intimidate" an ex-girlfriend. Thompson was charged with cyberstalking in the state of New York. Jewish groups have also taken security into their own hands, with the SCN launching a national security advisory council last week to strengthen ties between SCN and local, state and federal law enforcement agencies in their dealings with the Jewish community in the US, Haaretz reported. Leaders also met with FBI Director James Comey on Friday. “Representatives of the Jewish community left with the highest confidence that the FBI is taking every possible measure to resolve the matter as quickly as possible,” Jewish community leaders said in a statement after the meeting.